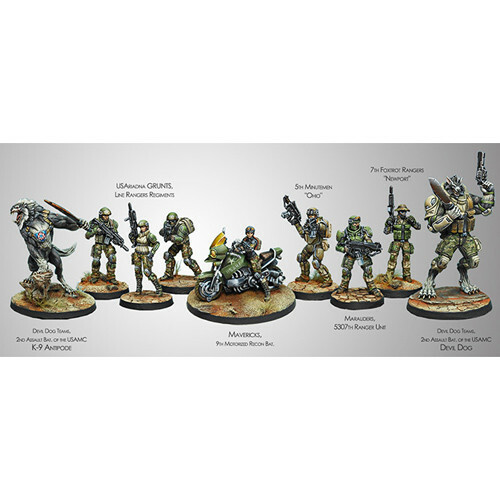 This box contains the miniatures, rules, and terrain you need to start collecting an USAriadna Sectorial Army and introduce you to the third edition of Infinity. Topnotch miniatures and game pieces. Topnotch miniatures for a very good price. 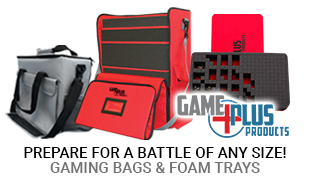 The box gives you enough for smaller games and is an excellent base to expend upon. I don't play Infinity, but picked this up because I intend to use the models for display/other games. This box set is a great value! Three large models (bike, two werewolve models) and an assortment of troops plus some cardboard scenery, templates and a background/rule book! And I got it on a MM daily deal for half their already discount prices! All the models are well packaged, the sculpts are amazing, and all are very dynamically posed and lend themselves to the paint brush! Highly recommended! Beautiful minis, just what I've come to expect from Infinity. The templates, custom dice, and scenery is an added bonus. Assembly was pretty easy, although you'll want to be careful with the Maverick (dryfit everything before you glue). Gameplay and value only get 4 stars because it only amounts to about 150 points on the table. Which means you need more kits to reach 300. But, that is kind of the nature of Ariadna. Lots of low-point troops. For the same money, you can outfit 300 points of Aleph, Yu Jing, or PanO pretty easily. But, if you want Ariadna it's a good buy. So, not a serious ding, and the price per model is excellent. For anyone interested in the USAriadna Sectorial or the Ariadna faction for Infinity in general, this is a great value. You get 9 models, 3 of which are on large bases, scenery, dice, templates, tokens, quick start rules, and starter missions. The models are the same high quality metal figures that Corvus Belli sells regularly and are really cool. No cheaping out and putting lesser quality figures in these sets. The dice have the Ariadna faction logo on them and aren't just basic D20's. The only weak point is the cardboard terrain but it really isn't meant to be permanent just to get you started. Even so, it looks good and with a little reinforcing could be made to last awhile. Overall, I am quite pleased I bought this set from Miniature Market, and if I had it to do over again, I wouldn't hesitate to buy at all. Everything you need to get started including dice templates a variation in a decent army. Buildings are paper/cardstock but once constructed are sturdy enough to do the job. A great way to start this great game. Great value for this box, and wonderful way to get into Ariadna. This starter box has a full, 149 point army, composed of 9 figures (including the free one if you act quickly), out of the box. Complete with starter rules, templates, dice and quality cardboard terrain, you can't beat the bang for the buck. The miniature quality is excellent with high detail and ease of painting. I would highly recommend this starter box for those interested in exploring the world of Infinity. This is a great starter set. If you get one of the preorder ones you get the bike figure off the bike. Still even without it, this is a great starter set. Has rules templates, tokens, models terrain and a map to play on. I totally recommend. Mini Market is great also. Best starter box for the price! You can't beat the price point of this starter box with all the extras you will receive in it. 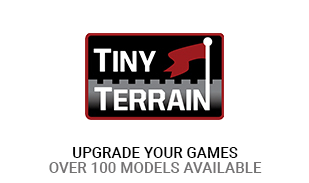 You will receive in the box 9 great detailed metal miniatures with bases, dice, tokens, terrain, map and rule book. Everything to get you started in Infinity. You will not be disappointed in this set . Great Product and amazing Price! I pre-ordered and was a little worried I wouldn't get it in time. I got mine not long after they started shipping and I was so excited to get it. Once I got it the contents of the box blew me away. Being able to get the unmounted Maverick was a HUGE bonus! You won't be disappointed with the contents of this box. Amazing looking models that can also perform on the tabletop, an excellent scenery pack, and dice to match your faction. Add in more tokens / templates and a small background booklet and you will be set. The Devil Dog models alone are worth the cost. Excellent value! It's not surprise I bought 3!